During the 1920s and early 1930s, Bill and Nell Lively lived on Isle Royale in Lake Superior all year around, weathering the long, lonely winters together. together, these bits and pieces reveal their contribution to Lake Superior maritime history and some interesting wildlife lore from Isle Royale. Bill Lively served as game warden for the Michigan Conservation Department on Siskiwit, Isle Royale, in Upper Lake Superior and his daily patrol was 55 miles long and eight miles wide. According to the history of the Michigan Department of Natural Resources, Bill Lively successful made the transition from the early game warden mentality when the game wardens gave no thought to public relations but were only “woods cops” whose job was to catch somebody breaking the law to conservation officers. In 1925, the title ‘game warden’ was changed to conservation officer, and in 1927, the emphasis changed from policing to education. In 1928, conservation officers began wearing uniforms that enhanced their prestige. The first conservation officer training school took place at the Pigeon River forest headquarters in 1935. In 1916, Bill enlisted in the infantry, and then transferred to the cavalry. One of his more colorful war stories involved the time in 1916 in Duluth, just before he went to the Mexican border with his regiment. He and some of his buddies went into the International Workers of the World (IWW) Hall and threw the furniture and typewriters into the street while the police looked on laughing. After his Army experience, including a stint in France, Bill hunted in new directions. He married his sweetheart Nell and he accepted the game warden job on Isle Royale. His chief responsibility was protecting game, not from human hunters who were scarce on the island, but from wolves. He tried to keep deer from falling victim to the wolves since moose were more than a match for even a large pack of wolves. The wolves had traveled across the ice from the Canadian shore during an exceptionally hard winter and decimated the deer population. Bill recorded that he trapped seventeen wolves during the winter of 1922. National Park Service literature states that wolves did not appear on Isle Royale until 1948 and that wolves reported on the island before then were actually brush coyotes, but two of Bill’s friends writing about him in the 1920s specifically mention wolves. Ben East, a fellow Michigan conservationist and outdoor writer, wrote an article about Bill for the Eagle Magazine in 1929. East wrote that formerly these skins made up the bulk of the furs, but Bill had almost exterminated such wilderness prowlers. On the other hand, the coyotes were more than keeping pace with his activities and held their own against Bill Lively’s trapping. Another time Bill and Nell found a little wolf in one of his traps and as they were removing it, they heard a sound. Whirling around, they saw a moose right behind them, hair bristling, ready to charge. They managed to escape by a quick leap around the tree into a dense thicket. Bill’s wife Nell didn’t travel with him much in the summer since she held a summer job as housekeeper on the steel passenger propeller America. Built in 1889 in Wyandotte, Michigan, the America was designed to carry passengers and package freight. The Booth Fisheries, a Chicago firm, purchased the America and in 1904 assigned her to traverse the north shore of Lake Superior between Duluth, Minnesota and Port Arthur, Ontario. 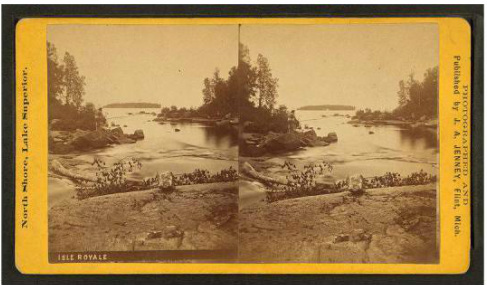 The America made dozens of stops to pick up fish or deliver supplies to the many fishing families who had settled the north shore and Isle Royale. Bill and Nell lively spent at least six months a year winter bound on Isle Royale and their friend outdoor writer Ben East admired their resourcefulness. On her voyage around Lake Superior ports, the America would stop at a port and blow her whistle and a fishing boat would come to load its fish aboard her. Most of the fishermen were Norwegians or Finns, broad shouldered men with high cheekbones and blue eyes. Bill Lively was convinced that one of the fishermen, “Kallick,” was an IWW man. “Kallick” was Ed Kvalvik who lived with his partner Al Bjorvik on the other side of Hay Point. Kvalvik had come to America in 1920 to work and save up enough money to go back to Norway and buy a small farm. Then he decided to fish and put all of his savings into a fishing outfit. He worked ten years without saving any money. Fishermen on Isle Royale had a hard time saving money because often Lake Superior winds and waves would sweep away five or six hundred dollars worth of nets. With the cost of nets and gasoline the fishermen didn’t have much left over at the end of the season, and many of them started each season deeply in debt to the Booth Fisheries Company for nets and other equipment. Since Isle Royale lies adjacent to Minnesota, many of the fishermen were Minnesota citizens but the island itself belongs to Michigan. In the 1920s, the state of Michigan required a $50 annual license feel for non-residents. Bill Lively said that many of the fishermen had to ask Booth Fisheries to advance them the fee in the spring. legend, the island’s namesake Pete, did not believed in banks and during the course of his earning years in the early 1902, buried his money around his island home. After he died in the 1930s, people hunted for the buried treasure on Pete’s Island. Nell Lively lost her summer job on June 7, 1928, when the America struck a reef in good weather and sank in Washington Harbor. She lies about 200 feet off a small point on Isle Royale, opposite Thompson Island. All of the passengers except a dog survived her sinking, but a wreck diver died on the America in 1970. Bill and Nell Lively thought nothing of being winter bound on Isle Royale. From November when the America and her successors made their last trip and navigation closed until spring, the island was completely isolated. Fishermen locked up their log houses and departed for the mainland. 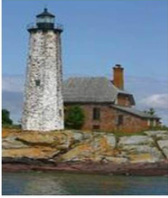 The lighthouse keepers from Passage Island and Rock of Ages lights at the eastern and western ends of Isle Royale left when floes of restless ice replaced the freighters on the steel gray winter face of Lake Superior. Big boats froze in the harbor and no small boat could pass the twenty five miles of broken ice to the mainland nor could a man walk over it. If someone got sick, there was no way to get a doctor. A few fishermen and their families wintered at Washington Harbor for the first time in 1922. “And no one got sick,” Bill Lively pointed out. Then Bill he told Wade Waldron about a time when a man winter bound on Isle Royale did get sick. The man, the former game warden named Foster, developed appendicitis during his second winter on the island. He tried to get someone to operate on him, but no one would. One day, Foster, driven half crazy by pain, made a lance out of a spike and cut out his appendix. According to Bill Lively, the do it yourself operation didn’t work. Foster limped around forawhile and later he died. For Bill and Nell Lively, most winters on Isle Royale weren’t as dramatic as Foster’s appendix. The Lively’s shack stood in thick woods about one hundred yards back from the shore. It contained a bed built into the wall, a cook stove, a small table, one chair, and a soapbox that substituted for another chair. Traps, guns, and a side of bacon hung on the walls and a mice nibbled sack of flour stood in the corner. During the day Nell shared Bill’s work with him, going out regularly with him on his trap line. During the long winter evenings while the wind rustled through the spruce trees outside their cabin nearly buried in snow, they played cribbage. In many ways, Bill and Nell Lively were transitional Isle Royale people with a foot both in the pioneer natural world of the island and another in the modern world of preservation and resource management. Attitudes toward conservation and wildlife preservation have changed radically since their time, but the careers of Bill Lively and Ben East and the chronicles of Wade Waldron underline the forces of change and the areas of debate that still occupy twenty first century Great Lakes people.